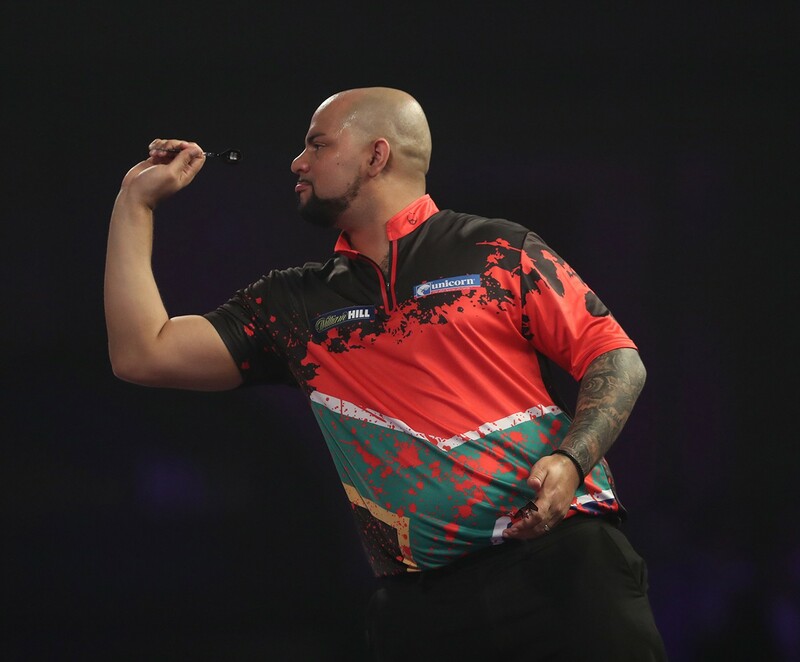 DEVON PETERSEN and Robert Marijanovic have secured returns to the William Hill World Darts Championship as the worldwide international qualifying events concluded on Sunday. South African star Petersen won the PDC Africa Qualifier to ensure his spot in the sport's biggest event, which begins at Alexandra Palace on December 13. The Mitchell's Plain thrower overcame Nolan Arendse - the 2015 World Championship qualifier from South Africa - 7-2 in the final. Petersen also defeated Francois Vertue, Les Gouvela, Rajan Odayar and David Nyemba in the latter stages during a dominant day. Petersen's 2018 World Cup of Darts team-mate Liam O'Brien was defeated by 6-5 in the last 16 by Jacques Coetzee. Arendse overcame Coetzee 6-4 in the semi-finals, after enjoying a win over another former World Cup ace, Shawn Hogan. Marijanovic won the 2018 German Superleague title with a 10-6 defeat of Dragutin Horvat in Sunday's finals day at the Maritim Hotel in Dusseldorf. The 38-year-old, who previously competed in the 2013 and 2015 events, will make his third Alexandra Palace appearance next month following the success. A PDC Tour Card Holder and former World Cup representative for Croatia, Marijanovic overcame Rene Berndt and Stefan Stoyke in the latter stages in Dusseldorf before proving too strong for Horvat. Meanwhile, New Zealand's Tahuna Irwin has withdrawn from the World Championship, and been replaced by Craig Ross. Irwin encountered immigration issues ahead of the recent PDC Unicorn World Youth Championship, and has now withdrawn from the World Championship. Ross, the 48-year-old from Ashburton, has replaced Irwin to make his televised debut at the World Championship, having been the runner-up in the DPNZ Qualifier in Invercargill. Ross has a decade of experience on the circuit in Australia and New Zealand, including his qualification for the 2017 DPA Oceanic Masters. Following the events in South Africa and Germany, the international qualifying events have now concluded ahead of next month's World Championship. The UK & Ireland Women's Qualifier will be held in Milton Keynes on Sunday November 25, with the PDC Tour Card Holders' Qualifier taking place on Monday November 26 to determine the final places in the field. The William Hill World Darts Championship will be held from December 13 2018-January 1 2019 at Alexandra Palace in London.